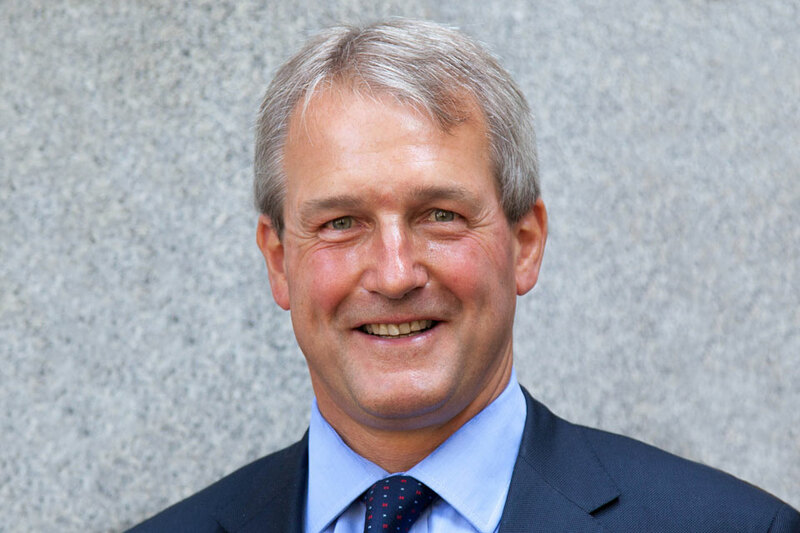 Owen Paterson oral statement to the House on recent developments on horsemeat and food fraud. I would like to update the House on recent developments on horsemeat and food fraud. The events we have seen unfold over the past few days in the UK and Europe are completely unacceptable. Consumers need to be confident that food is what it says on the label. It is outrageous that consumers have been buying products labelled beef, but which turn out to contain horsemeat. The Government is taking urgent action with the independent Food Standards Agency, industry and European partners. Let me turn first to the facts. On 15 January the FSA was notified by the Food Safety Authority of Ireland of the results of their survey of processed beef products on the Irish market. The Irish study identified trace amounts of horse and pig DNA in the majority of the sample, but identified one product, a Tesco burger, where there was evidence of flagrant adulteration with horsemeat. Investigations in Ireland are ongoing. On 16 January in order to investigate implications for the UK market the FSA announced a four point plan. This included telling implicated food businesses to test their processed beef products. It also included launching a full scientific study of processed beef products on the UK market. On 31 January the Prison Service of England and Wales notified the Food Standards Agency that traces of pork DNA had been found in a selection of meat pies labelled as Halal. While trace contamination does not necessarily indicate fraudulent activity, any contamination is clearly of concern to faith communities and the affected products were quarantined and contracts suspended. On 4 February the FSA announced that it had tested a consignment of frozen meat which was being stored at Freeza Meats in Northern Ireland for horse DNA. This consignment had been detained by the local authority in October 2012 because of labelling irregularities. The consignment is under the secure control of the local authority. None of this consignment has entered the food chain and so no recall is necessary. As part of the investigation Newry and Mourne local authority has tested current products from Freeza Meats and neither horse nor pig DNA has been found in any of these products. The FSA is undertaking a detailed investigation which includes following the supply chain of Freeza Meats and any other producers that are implicated. On the evening of 6 February Findus Foods informed the Food Standards Agency that they had confirmation of horsemeat in frozen beef lasagne products. The lasagne was produced in Luxembourg by a French company Comigel, with the meat supplied by another French company Spanghero. The test results were supplied to the FSA on the morning of 7 February. The Food Standards Agency are urgently investigating this in liaison with the French authorities and the police. The FSA has assured me that it currently has no evidence to suggest that the products recalled by Findus represent a food safety risk. The 7 February announcement that very significant amounts of horse meat had been found in Findus lasagnes moved this issue from one of trace contamination to one of either gross negligence or criminality. On 8 February, Aldi withdrew two beef products after its tests found that they contained horsemeat. The products were supplied by the same company Comigel, who supplied Findus. Asda and Tesco also withdrew products from the same suppliers on a precautionary basis. Mr Speaker, food regulation is an area of European competence. Under the European legal framework, the main responsibility for the safety and authenticity of food lies with those who produce, sell or provide it to the consumer. In the UK the FSA was set up by the last government as an independent agency. I have sought to respect its independence. They lead the operational response. I am here today to update the House on progress with their investigations and on the action I have been taking with the industry and with European counterparts. I have made clear my expectation that food businesses need to do whatever is necessary to provide assurance to consumers that their products are what they say they are. The Minister of State and the FSA met food retailers and suppliers on 4 February and made clear that we expected the food industry to publish the results of their own testing of meat products to provide a clearer public picture of standards in the food chain. I made it very clear that there needs to be openness and transparency in the system for the benefit of consumers. Retailers and processors need to deliver on these commitments to reassure their customers. Let me reiterate, immediate testing of products will be done across the supply chain. This includes suppliers to schools, hospitals and prisons as well as to retailers. The FSA issued advice to public service providers on Sunday 11 February in advance of the working week. I would also like to re-iterate that the FSA has assured me that it currently has no evidence to suggest that recalled products represent a food safety risk. The Chief Medical Officer’s advice is that even if ‘bute’ is found to be present at low levels, there is a very low risk that it would cause any harm to health. People who have bought any Findus beef lasagne products are advised not to eat them and return them to the shop they bought them from as a precaution. The ultimate source of these incidents is still being investigated. But it is already clear that we are dealing with Europe-wide supply networks. I am taking action to ensure that there is effective liaison with the European Commission and other Member States. I have been in touch with Irish Minister Simon Coveney on several occasions since 28 January. I have spoken to him twice again today and have also spoken to European Commissioner Borg, the French Minister Stephane LeFoll and Romanian Minister Daniel Constantin. I emphasised the need for rapid and effective action. I am grateful for the good cooperation that there has already been. I have agreed with Minister Coveney that there will be an urgent meeting of Ministers from the member states affected with Commissioner Borg. In addition we agreed that this issue will be on the agenda of the Agriculture Council on 25 February. At the moment this appears to be an issue of fraud and mis-labelling, but if anything suggests the need for changes to surveillance and enforcement in the UK we will not hesitate to make those changes. Once we have established the full facts of the current incidents and identified where enforcement action can be taken, we will want to look at the lessons to be learned from this episode. I will make a further statement about this in due course. In conclusion, I want to reiterate that I completely understand why people are so concerned about this issue. It is unacceptable that people have been deceived in this way. There appears to have been criminal activity in an attempt to de-fraud the consumer. The prime responsibility for dealing with this lies with retailers and food producers who need to demonstrate that they have taken all necessary actions to ensure the integrity of the food chain in this country. I am in daily contact with the FSA. This week I will be having further contact with European counterparts and will be meeting the food industry again, together with the FSA, tomorrow.